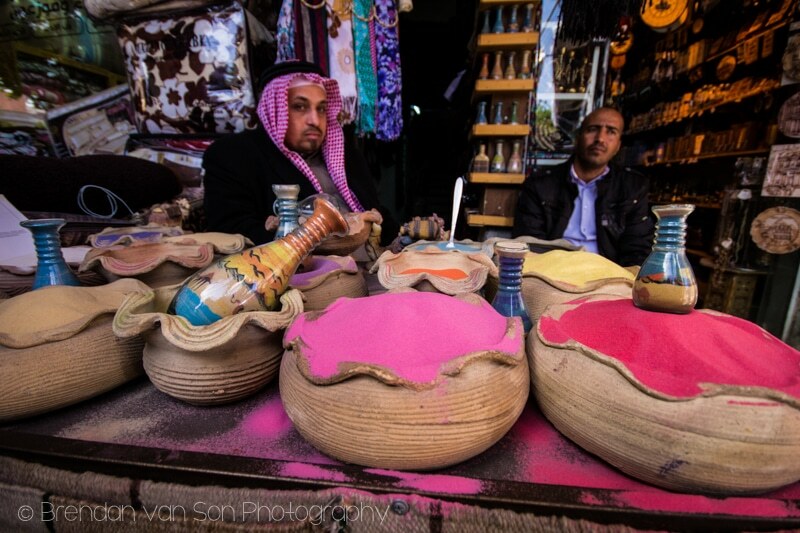 I shot quite a few photos while in Jordan. To give you some perspective. 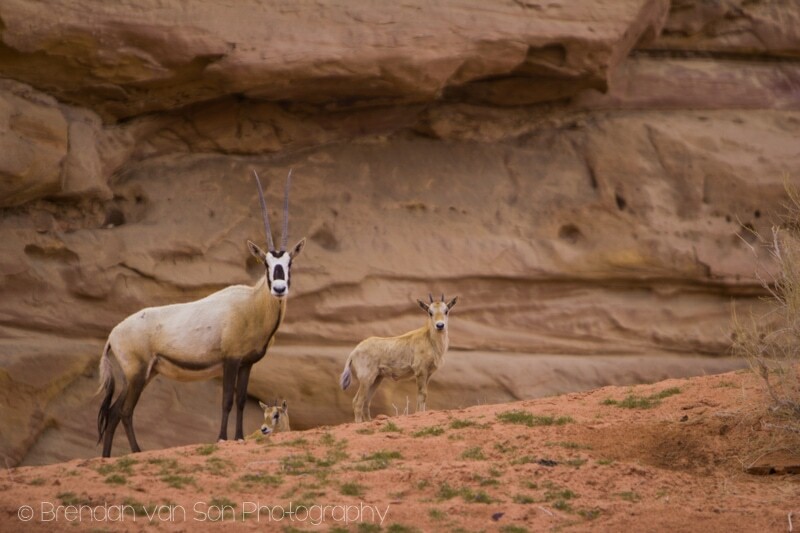 On a normal week in travel, I shoot about 100-200 photos, sometimes more if there’s wildlife involved. 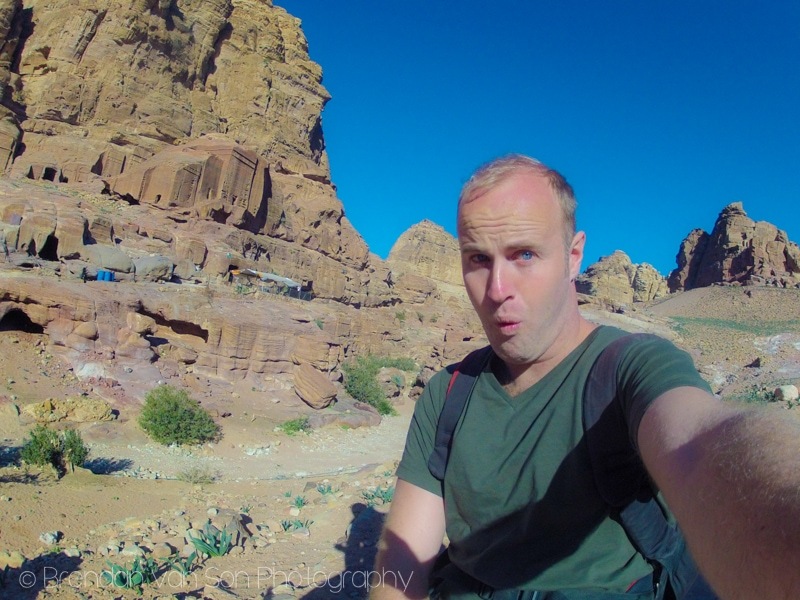 In a week in Jordan, I managed to pull the trigger about 900 times. The truth is, too, that as a travel photographer, I am careful not to pull the shutter unless I think I have something cool through the lens. 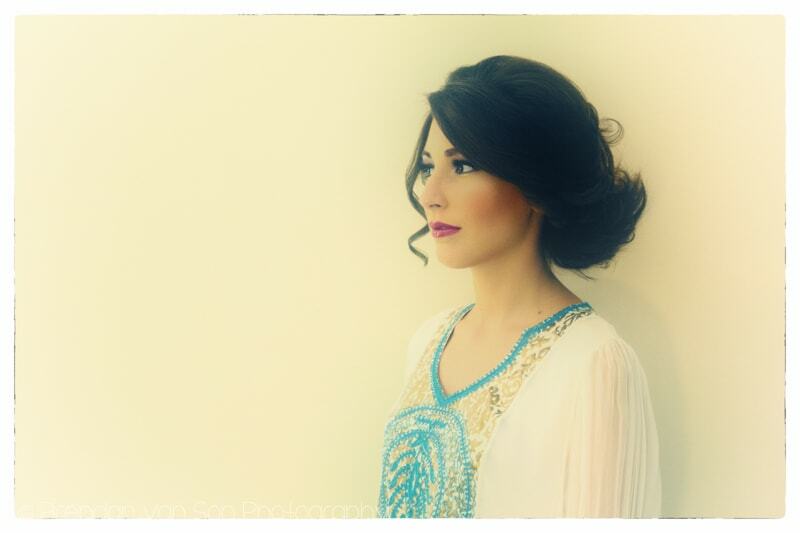 Obviously, after shooting over 900 pictures of Jordan, I needed to spend a very full day editing the photos. I chopped out the bad ones and edited the best ones, and I was still left with a fair stack of pictures I really like. And well my camera was active in Jordan, so was I. My memory cards weren’t the only thing getting content on a massive scale. Every turn of every day there was a new adventure in store for us in Jordan. 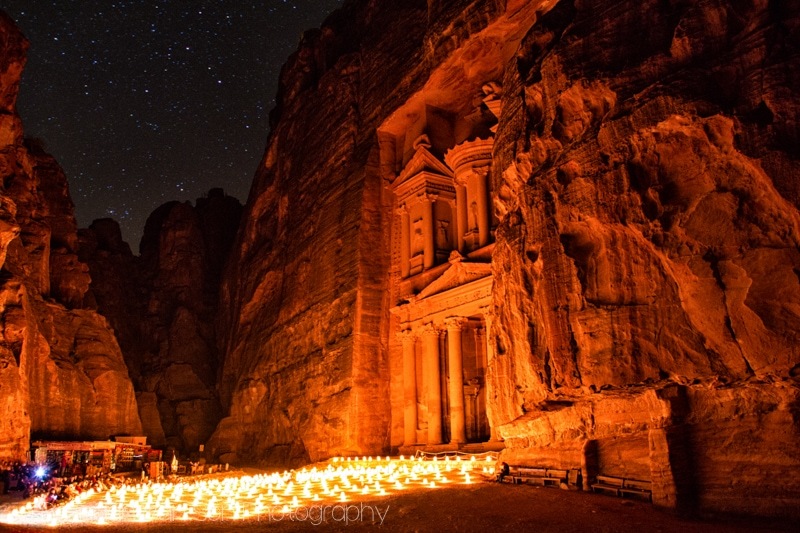 We visited the world wonder of Petra under the stars at night, we rode donkeys up a mountain, we floated in the Dead Sea and went Diving in the Red Sea. It was such a wild week, and I loved every minute of it. Be sure that over the next couple weeks this blog will have plenty of cool travel tales to share with you. Ok, so on to the photos. These are just a preview of some of the pictures of Jordan. Be sure to read the captions to each image for a bit of a tease on the stories that are to come in the upcoming weeks on this blog. As always, I’d love to hear which of the images are your favourites! 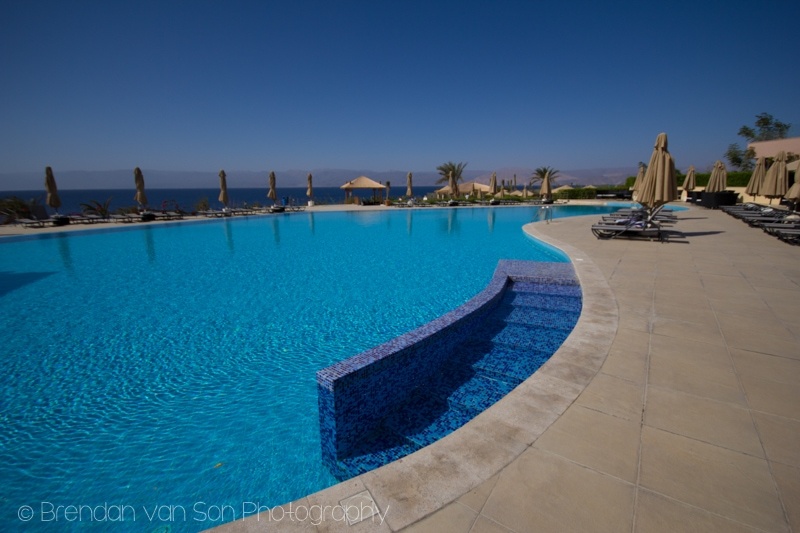 Our time in Jordan started with a tour of the awesome coastal town of Aqaba on foot. We passed this market and I couldn’t resist the chance to photograph these colours. Tiffany and I were surprised with a date night. A couple of the ladies in Aqaba got Tiffany all dressed up and made up. I, obviously, took the opportunity to take some portraits of her. 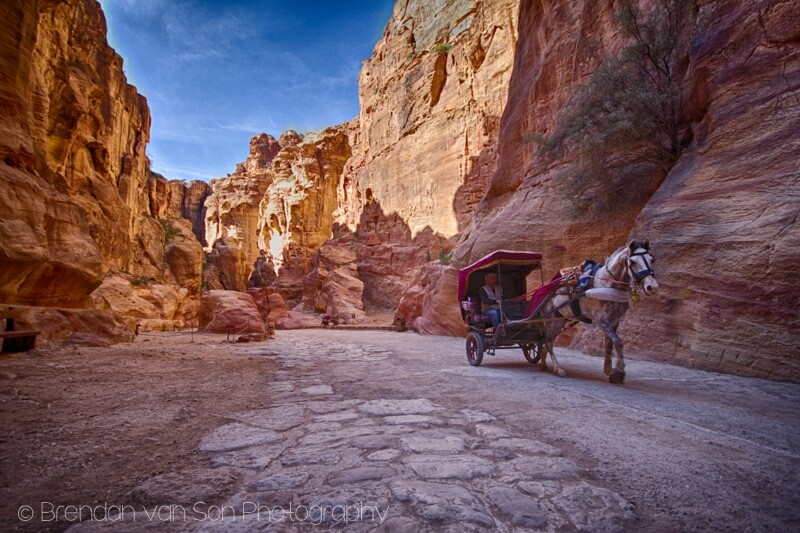 Leaving Aqaba, we headed to the wonder of Petra, Jordan. There really is something magical about this place. Few things make me happier than hearing camels making camel sounds. One of those things is a camel making camel sounds in front of the treasury in Petra. As if seeing it during the day wasn’t enough, we got the chance to see Petra by Night which is a seriously powerful experience. Absolutely amazing. 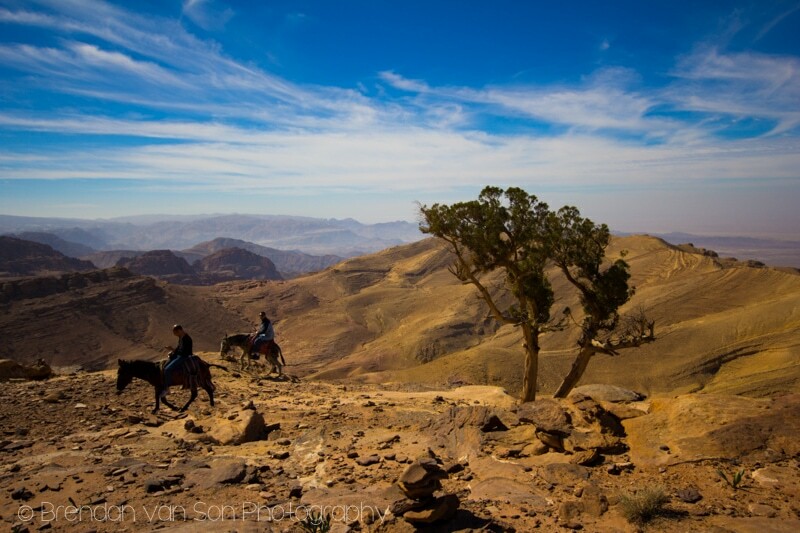 After a full day and night in Petra, we took a second day to escape the crowds on donkey-back to head up to Haoun’s Tomb. It was insane, that’s all I’ll say about my day donkey trekking for now. Our two guides bumping up the hill on the donkey trek. After donkey trekking, a spa treatment in the Marriott at the Dead Sea Area of Jordan was welcome. 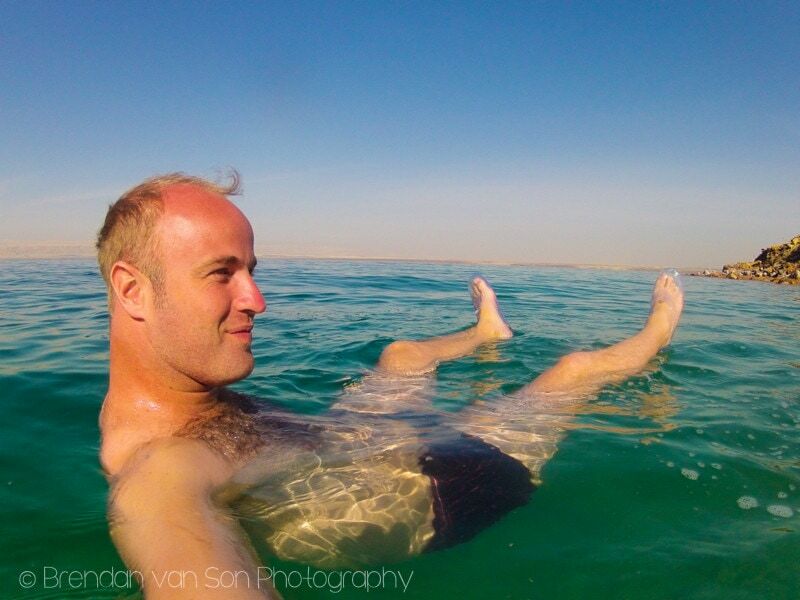 Fact: I can float in the Dead Sea without getting my hair wet. 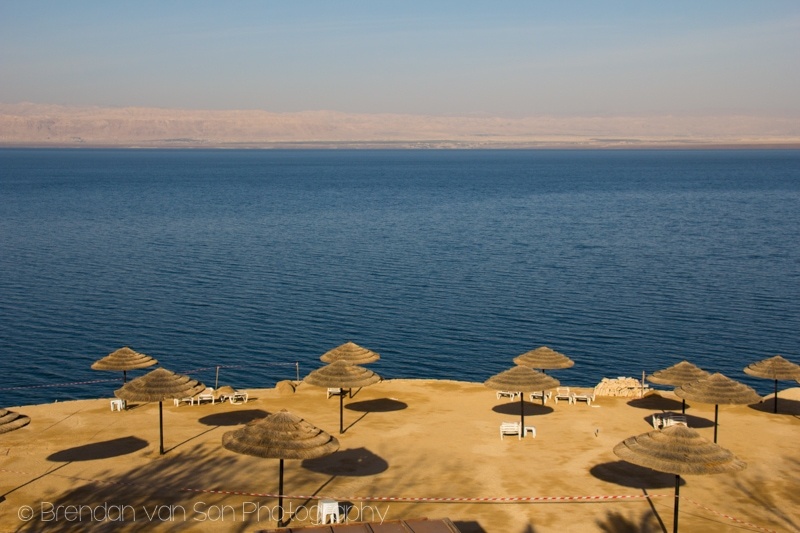 Fact: If you have cuts on your body from donkey-trekking, the salt from the Dead Sea hurts like hell. 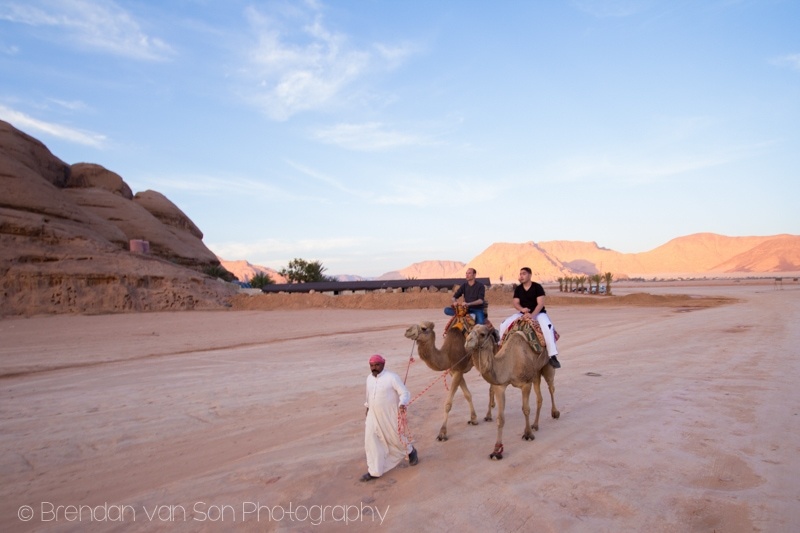 On our way back to Aqaba, we stopped for a night at a Bedouin camp in Wadi Rum, mounted some camels and headed up a sand dune to watch the sun set. And the next morning, we hiked up again for sunrise. And I got to meet a baby camel too! And I got to meet two baby Orxy in the wildlife refuge as well! 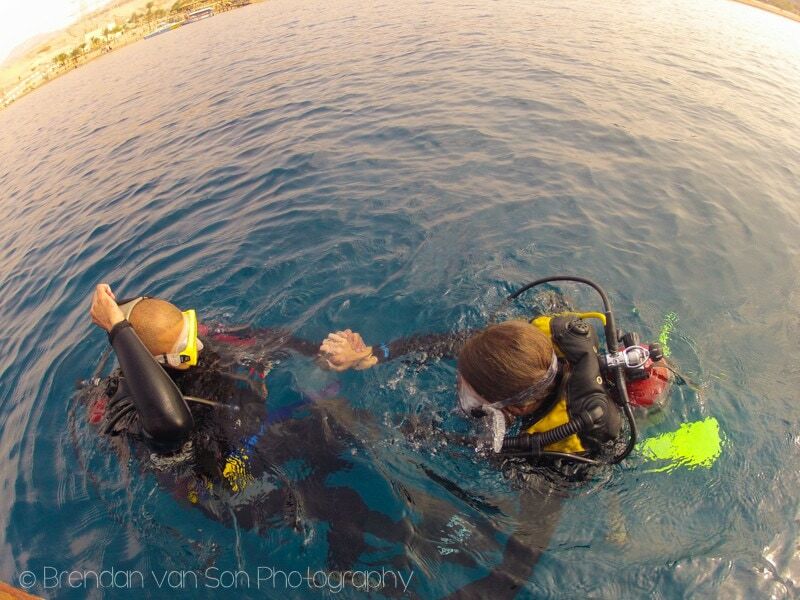 Then, it was back to Aqaba and the Red Sea where Tiffany went scuba diving for the first time, and I got to explore a ship wreck. 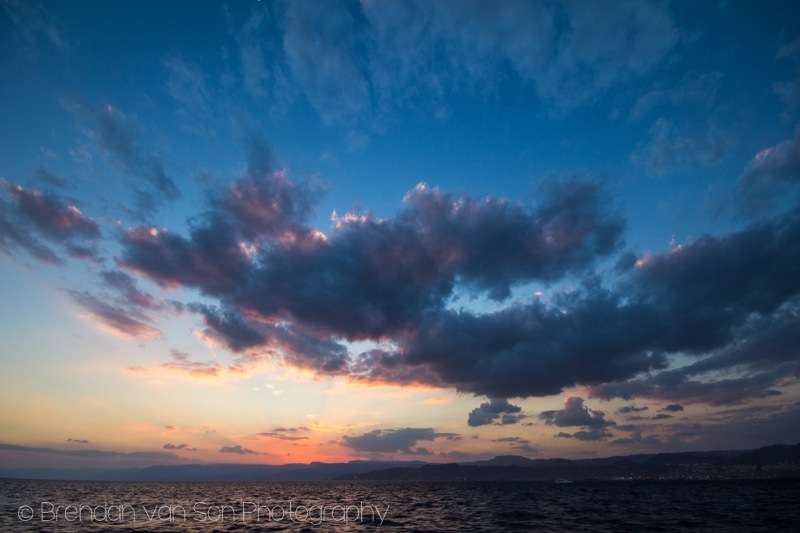 And then, gazing upon a perfect Aqaba sunset, it was all over. Stay tuned. Loads of amazing stories coming your way in the weeks to come. Amazing pictures. Loved them all. Hurry up and give us more information. 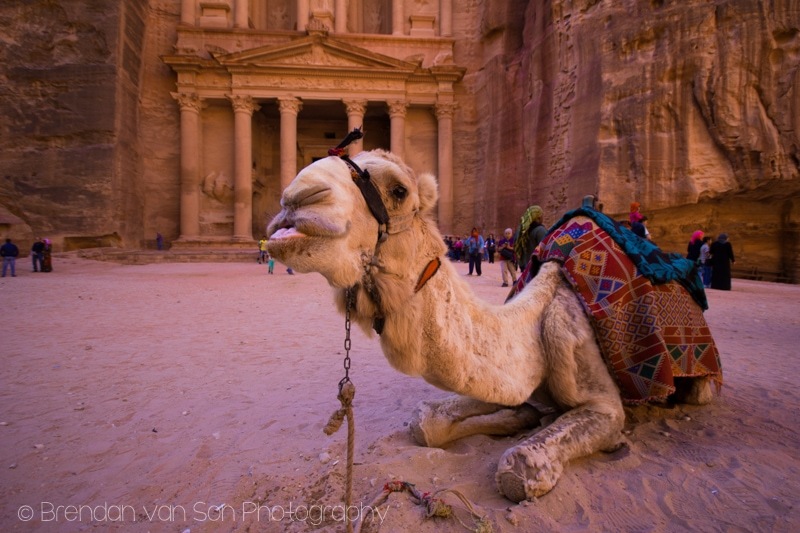 I am headed to Jordan on Feb.12. These pictures just got me so much more excited! Oh, you’re going to love it Jamie! Such an awesome place. Should have a new article up about tomorrow! 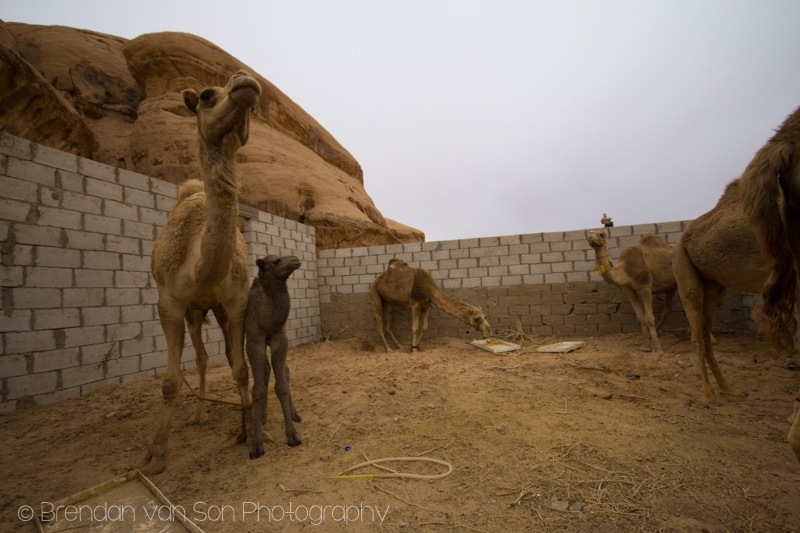 So many wonderful photos to choose from… love the first one, always fond of a colourful market, the camel close up, the photos of Petra – day and night, the oryx (love them) and the photo of Tiffany… loking stunning! Thanks for checking it out Helen. Hope all is well in your world! Truth. If it’s not in pain, it’s not healing… haha. 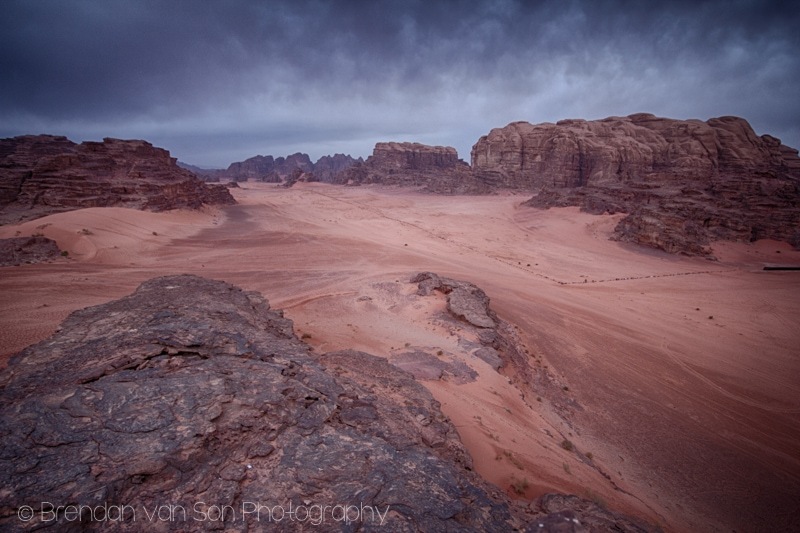 Hope you get to Jordan at some point, really beautiful country. All stunning. I would love to know more about the two men in the first photo with the sand. Heather, they make designs in bottle by “painting” with layers of sand of different colours. It’s quite fascinating!